Is there a place for religious language in the public square? Which institution of government is best suited to deciding whether religion should influence law? Should states be required to treat religion and non-religion in the same way? How does the historical role of religion in a society influence the modern understanding of the role of religion in that society? 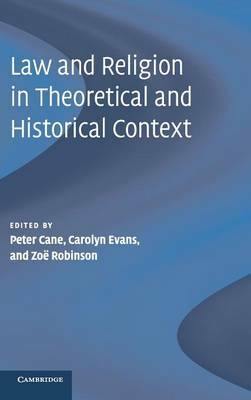 This volume of essays examines the nature and scope of engagements between law and religion, addressing fundamental questions such as these. Contributors range from eminent scholars working in the fields of law and religion to important new voices who add vital and original ideas. From conservative to liberal, doctrinal to post-modernist and secular to religious, each contributor brings a different approach to the questions under discussion, resulting in a lively, passionate and thoughtful debate that adds light rather than heat to this complex area.